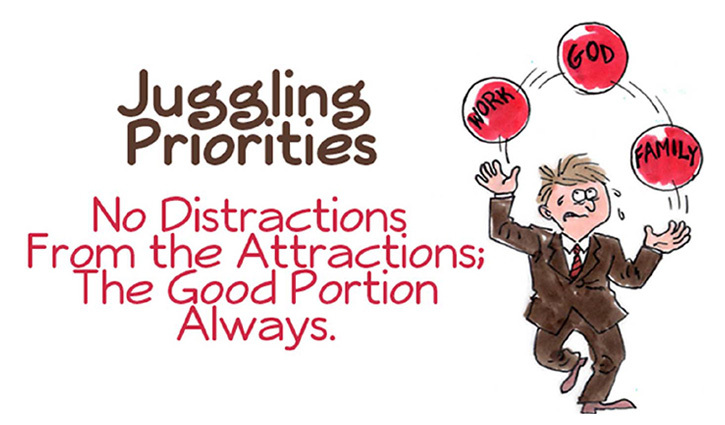 In this busy society we have many priorities to juggle. What is a priority? It is something that we regard as more important than others, and which we therefore feel we have to attend to first. Some of us may find ourselves in situations in which we may feel that someone has considered another person a priority over us, and find that treatment unfair on us. However, many of us are treating God in same way: We put other things and other people before God.